After buying a new leisure battery and suitable mains charger it seemed a good idea to check out the split charge system installed by the previous owner. Upon inspection I wasn’t suprised to find it was another cheap solution thrown in to sell the van as a “completed conversion” so I immeadiately ripped it out and consigned it to the bin. Also in that pile is the cable that runs from the PMS3 to the engine battery to allow you to switch battery source, this will also be replaced. I had a look round on ebay and there are plenty of split charge systems available but i’m a firm believer in that if you want the job done properly then spend the money and do it well. As I understand it, Travelvolts is owned and run by one of the T4 forum members called upspex, aka Martyn. I’ve mailed Martyn a couple of times for different electrically related things and it’s quite clear he knows what he’s talking about and honest too, there have been a couple of occasions he could have cashed in on my naivety and he hasn’t so I know I can buy an item from Travelvolts for the van and be confident it will work, be excellent quality and is something I actually need. With that in mind I bought the SC120L split charge system which can be found on this page, postage and VAT puts the cost at £100. In no time at all I received an email to say my order had been shipped and attached to the email was an install guide, 48 hours after placing the order my cables and relay arrived, time to pull the van apart.. 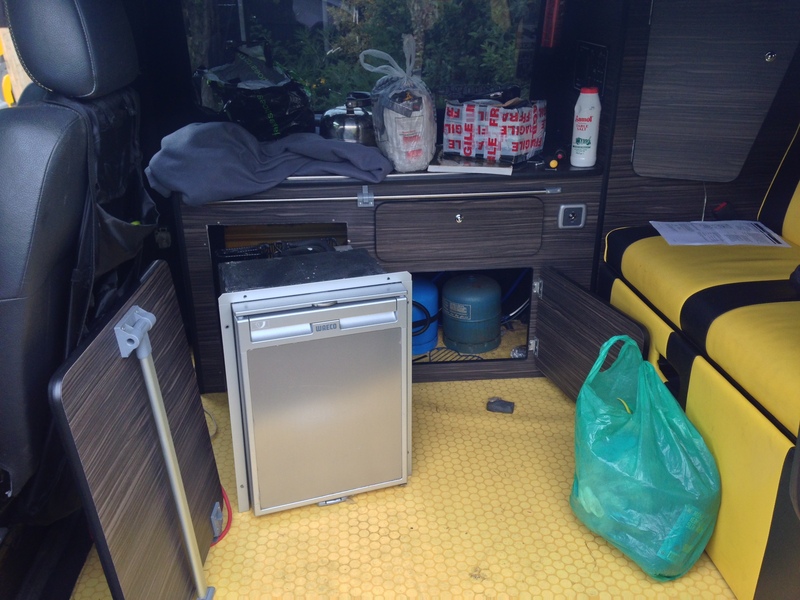 Following the supplied instructions the install starts at the engine battery end and works it ‘s way through the van to the rear as that’s where my leisure battery is located, there is also a kit that caters for those who installed their leisure battery under the drivers seat. 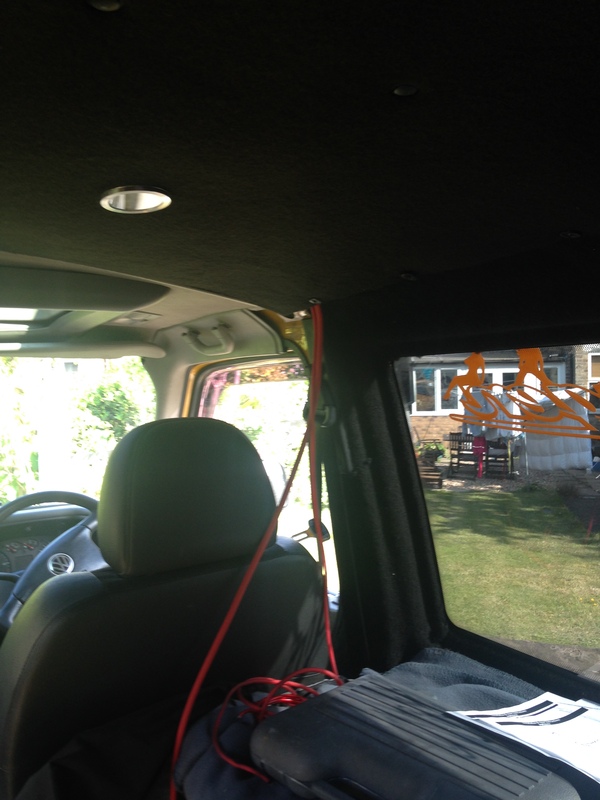 As the rear of my van is already converted, to route the cable to the rear I woud have to undo and redo the ceiling and side panels along the drivers side of the van to conceal the split charge and main battery cable. From here I would need to unclip the roof panels and feed the cable along and then drop down to the battery following the same route the LED lights go. The LED light cables have all been routed through the tiniest hole in the body work and then through an even smaller hole in the wood panel to reach the PMS3. It quickly became clear the only way I was going to be able to route the cable the way the instructions directed was to take half the van apart which to be honest, I wasn’t massively up for so I decided to do my own thing, pull the cable back to the fuse box and route the cable through the footwell, behind the fridge and gas bottles and straight to the leisure battery, this went a lot better, the smallest amount of cable is visible and the worst part of it all was I had to pull the fridge out and empty a cupboard, could be worse! 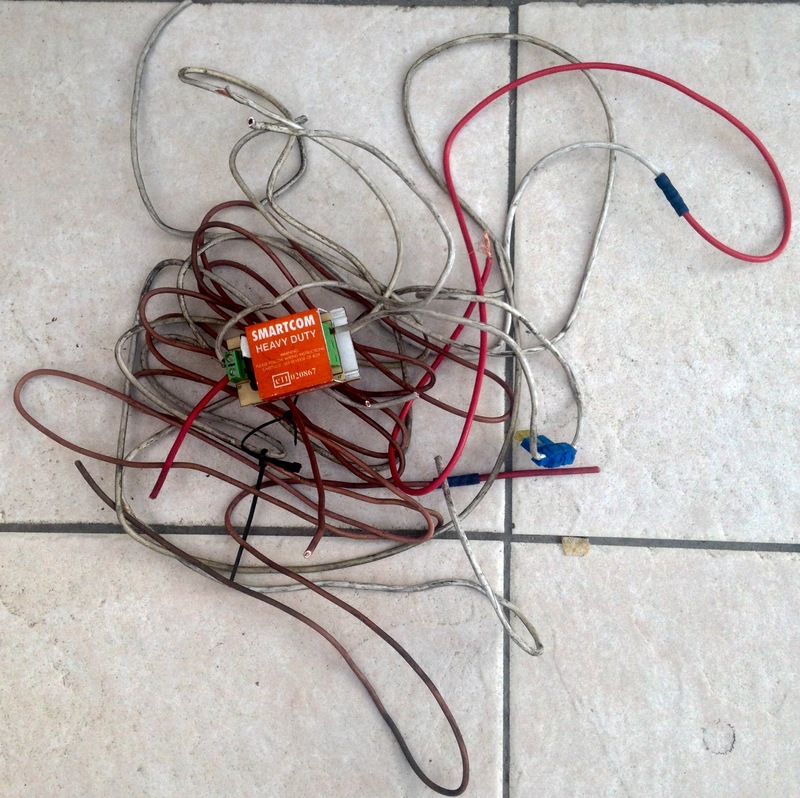 Once the cable was routed to the leisure battery it was just a case of fixing the earth to the earth point at the rear light cluster and then putting in the supplied fuses and hooking up at each end. While I was running cables I also installed a new cable from the engine battery to the PMS3 and ripped out all of the excess wiring the previous owner had put in for the lighting and water pump for the sink. As I had taken a different route I had a fair bit of excess split charge cable so I chopped that down so it didn’t coil up in the back of the van. When I fired up the PMS3 everything worked with no bangs or funny smells, it all looks a lot tidier in the battery / watertank locker and my leisure battery will get a decent charge from the alternator when we are on the move, I also know that now the van won’t go up in flames from bad wiring, not the bits i’ve done anyway, happy days, another job done!